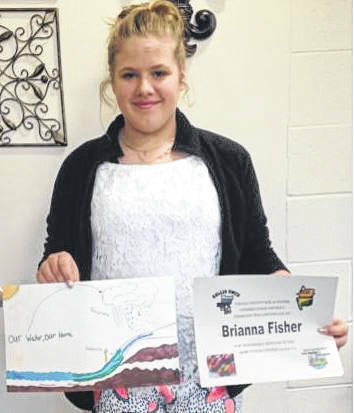 GALLIPOLIS — Gallia Soil and Water Conservation District recently congratulated its 2018 poster contest winners. 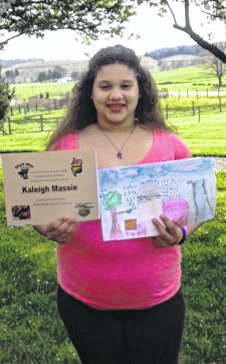 For grades four through six, Kaleigh Massie was recognized from Southwestern Elementary School. For grades seven through nine, Alli French was recognized from Gallia Academy High School. 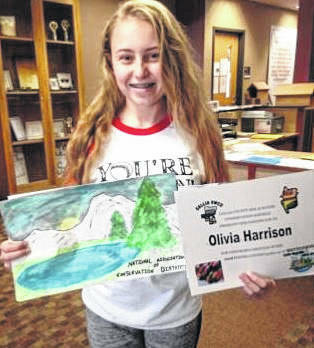 Brianna Fisher of Gallia Academy Middle School received an honorable mention as well as Olivia Harrison from South Gallia High School. Posters drawn by students will be copied on place mats at participating Shake Shoppe and McClure’s restaurants during the week of April 29-May 6 during Stewardship Week.